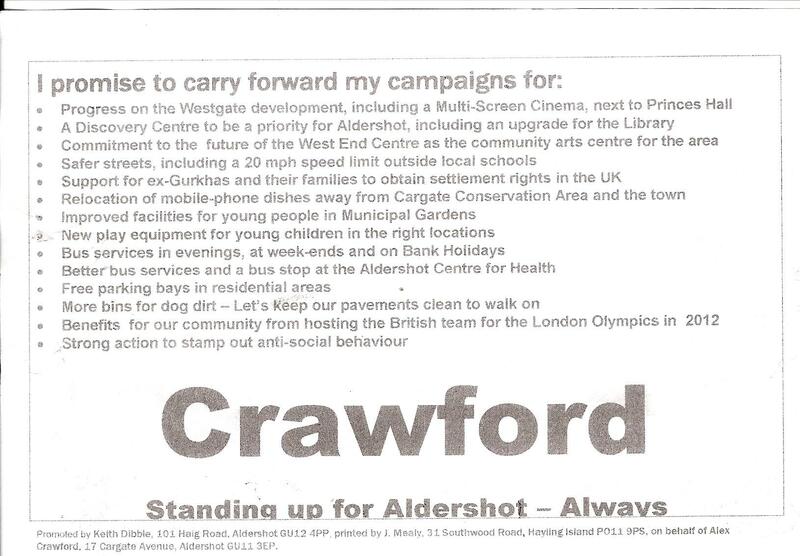 The Local Aldershot Labour Party do like to confuse issues, a Discovery Centre is principally an enhanced Library. They also want an upgrade for the existing Library, so we presume they want 2 libraries? Are they really in favour of a Discovery Centre? 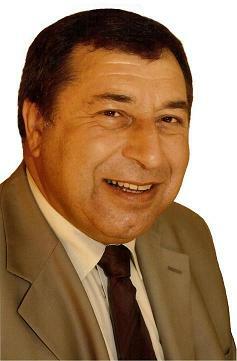 I am pleased to see that since Cllr. Keith Dibble's recent visit to the Discovery Centre in Gosport, he now supports the possibility of one here in Aldershot. This is becoming a bananas proposal after another one which rightly bit the dust Ive never seen anything so daft in my life which mirrors those from whence it came. Can some people stop proposed nonsense suggestions on the basis that they stand up when these suggestions do not nor have any merit what so ever. What I cannot understand is why it took a visit by Cllr. Dibble to Gosport's Discovery Centre to enable him to understand this concept. Bearing in mind that he would have needed merely to look on "Hantsnet", Hampshire County Council's Website, under "Discovery Centres", where he would have found pages of information on the subject. Finally, Hampshire must hand over weed control to Rushmoor so that our streets and pavements can be kept to a better standard. 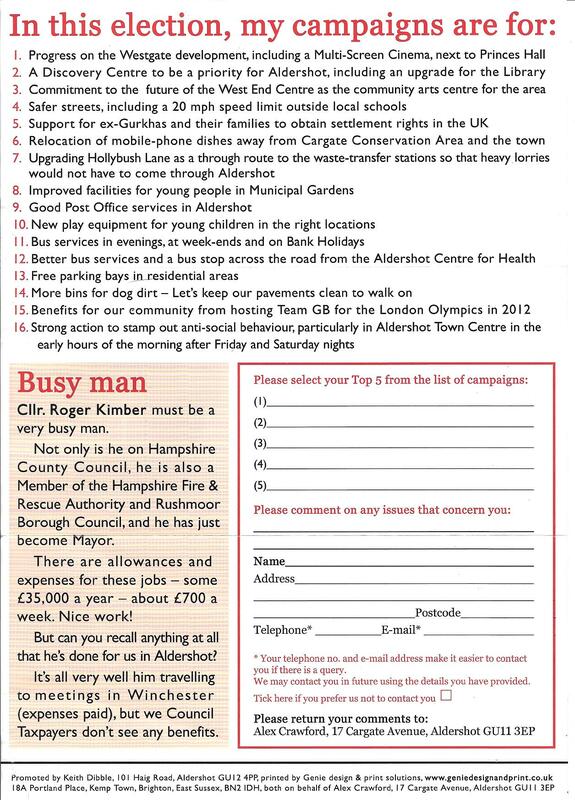 It's not much to ask for the £1,400 we pay each year in Council Tax! Weed spraying was taken over by Hampshire County Council in 2001. Traces of the Weed Killers which were used in the past that very effective at killing off the roots of the weed were found in the water we drink, so it was banned. 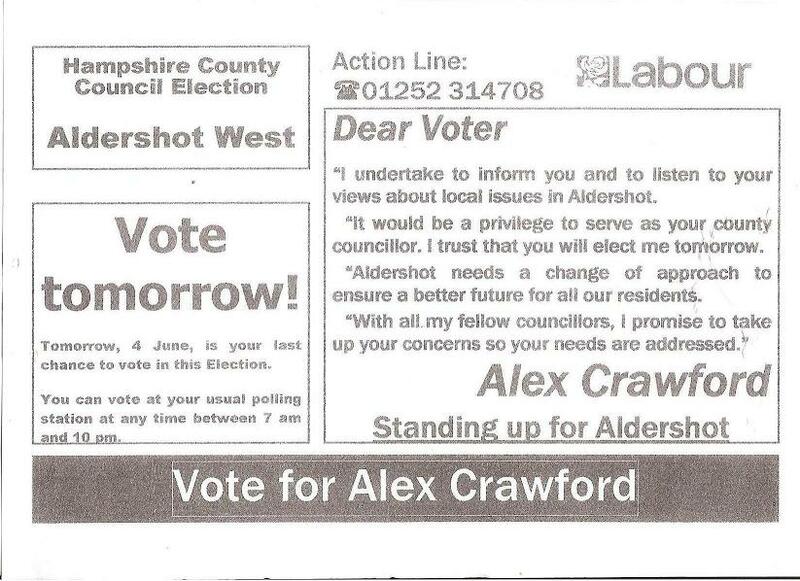 I see my old pal that Labour diehard Alex Crawford moaning about the weeds in the roads (Star letter 4 September) He wants Action! Not excuses as he is paying £1400 Council Tax. I agree with him the Council Tax is far to high but his Labour Government uses the Council Tax support grant which is about 50% of HCC income to increase taxes by constantly reducing the yearly settlement! It is the only thing these Labour people seem to be good at is increasing taxes. In regards to the weeds HCC highways contractors are forced to use weak weed killers due to environmental reasons. This weed killer is dissipated by the wind and rain can only be effective when sprayed during dry weather but checks are made by officers from HCC to see if the contract is being for filled. I am not a gardener but gardeners tell me they are having a massive problem this year controlling weeds. It was not that long ago when HCC offered to return this contract to Rushmoor Borough Council. They refused as the money on offer from HCC in their view was insufficient. Personally I felt they were not to keen on trying to eradicate weeds with such weak weed killers. 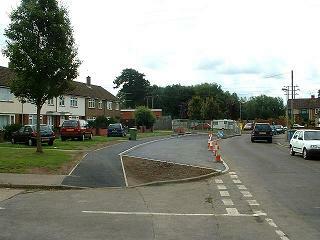 Some members of the EU particularly Germany, require their residents to weed the footpath and road outside their homes? The Great British Public are major share holders in the Post Office, The Labour Government agreed to the closure of 2500 post offices. Today they are even contemplating the sale of all our shares in the Post Office. Free parking bays in residential areas. I know the Local Labour Party do not care about all these taxes we are paying but I do. 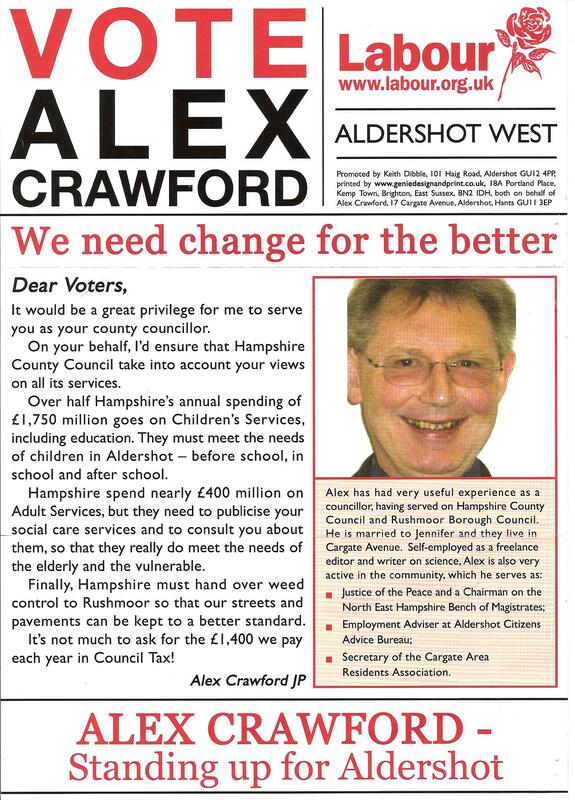 I remember in the last local elections they promised if elected Aldershot residents would have free car parking in the Town Centre, how would they have paid for that? About now some 20 + car parking spaces costing £25,000 will be built on HCC land, Residents will see more parking spaces provided for their free use in the next 4 years. 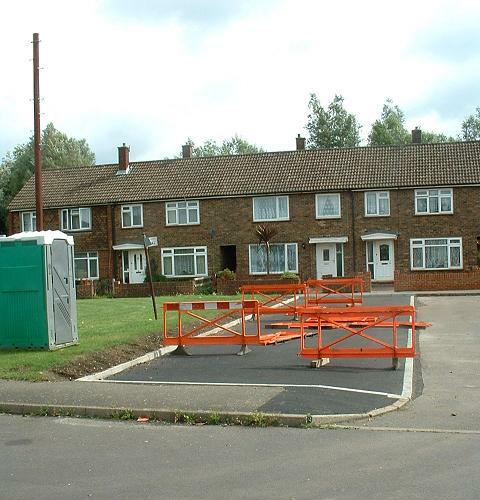 Willow Way Heronwood off street parking for residents nearing completion. "Living with the car not fighting it."